Huge VTECH Giveaway Just In Time For The Holidays! 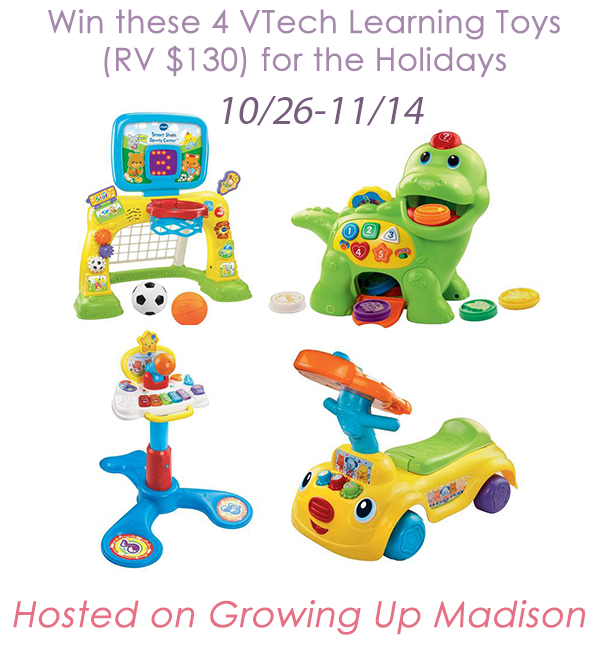 VTECH is the perfect gift for little ones and this prize package is a $130 value perfect for the holidays! This looks like fun. I bet the kids would love these toys. This would be so very awesome ! It sure would help out my Christmas list dramatically! We shop for 10 grandbabies! The VTech Grow-Along Music Center is great for child development.